Ensuite Double room - 1 double bed. Room Only Rate. 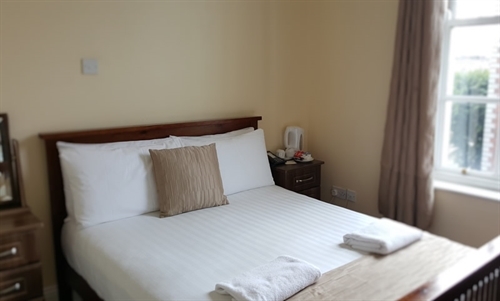 Facilities include tea/coffee making facilities, remote control TV, complimentary toiletries, telephone, non-smoking room, FREE WiFi. No Deposit - pay on arrival. For a limited time only. Free Continental Breakfast when you Book Direct.